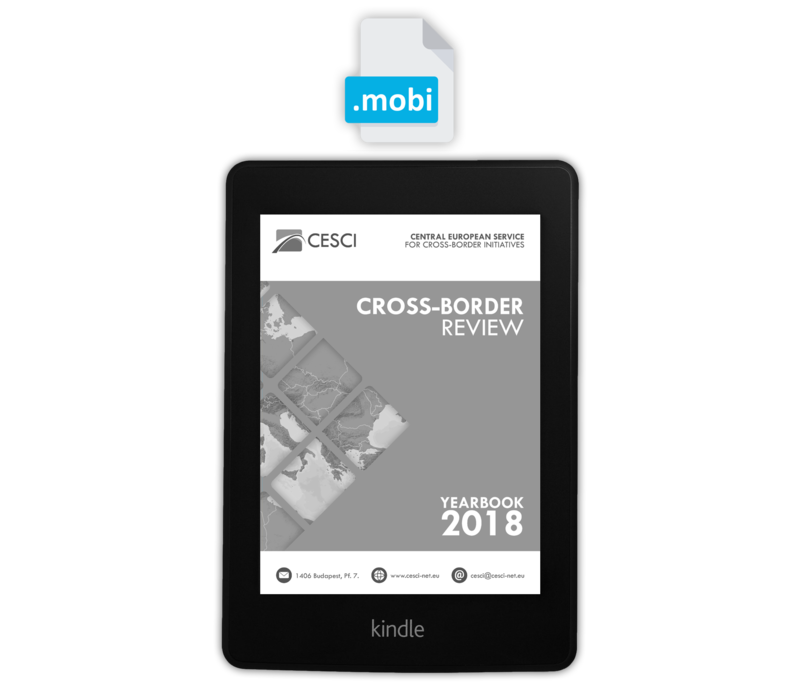 Welcome to the 2018 edition of the Cross Border Review. This edition is broadly focused on approaches to studying cross-border interaction as a political process. 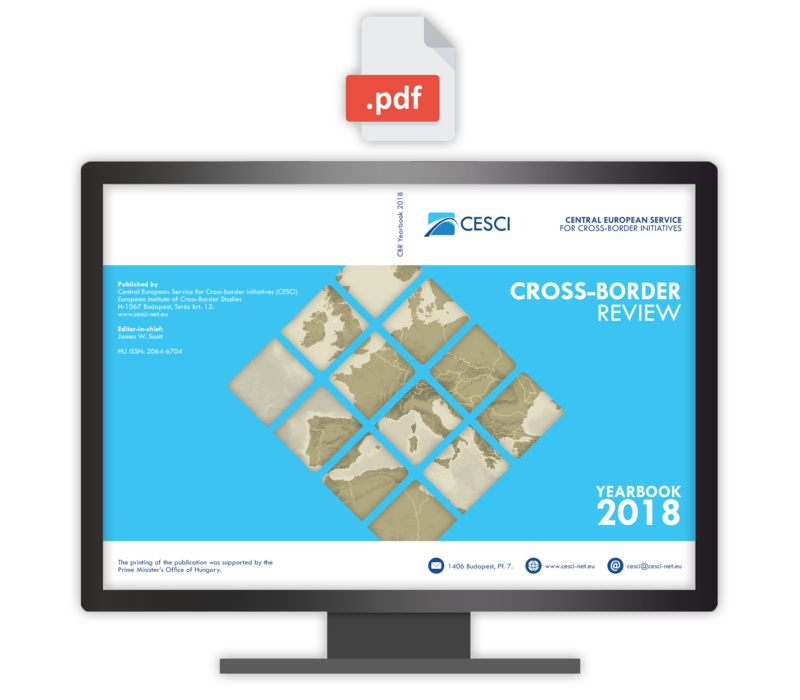 As two major conferences in 2018 demonstrated - for a report see the final section of this volume - the politics of borders has become a major academic and policy concern due to the interlinked nature of territories, identities, social cohesion and well-being. In more mundane terms, the promise of cross-border cooperation (CBC) is that of providing new political spaces beyond state territoriality that flexibly address social affairs, economic development, minority rights, cross-border employment and trade, the environment, and other issues. Processes of cooperation, in particular at the regional and local level, have encouraged us to think and speak of borders as something inherently positive – as sites of re-bordering where, among others, processes of dialogue, common problem-solving, mutual trust-building and a new sense of place and region can emerge. At the same time, also CBC problematizes globalization as both encounter and confrontation, the negotiation of which is seldom straightforward. CBC therefore also influences thinking about borders by highlighting the complex and often conflictual nature of social interaction across boundaries. In this volume, we offer a number of articles that again deal with very different perspectives on cross-border interaction and cooperation (CBC), both within Europe and in the intriguing case of Hong Kong-Shenzhen. In the first article, Andreas Faludi opens discussion on a highly thoughtful note regarding the significance of state borders within the no longer de-bordering European Union. Faludi’s concern is with the persistent role of territoriality in conditioning cross-border cooperation contexts. As he argues, one of the main battlegrounds in this context are the EU’s Structural and Investment Funds, arenas where the – unsuccessful – struggle over European spatial planning has taken place. Maybe because there is less funding available, cross-border, transnational and inter-regional Territorial Cooperation seems a minor concern. But the borderlands involved still, and in their own specific ways, counteract the territoriality of states. This might help explain why the Commission, supported by the European Parliament and the Committee of the Regions keeps on promoting cooperation across borders. Milan Jeřábek, Jaroslav Dokoupil and Hynek Böhm follow with empirical evidence for the local resilience of CBC from the almost 30 years’ experience of Czech border regions. In their article, they argue that Euroregions with Austria and Bavaria are examples of co-operation between an “old” Europe and the “new” Europe which emerged in the 1990’s. These Euroregion are moreover examples of Central European spaces where major shifts in cross border relations have occurred, conditioned by memories of historical conflict and desires for greater mutual understanding. Another example of pragmatic cooperation within Europe is provided by the emergence of cross-border digital public services and the construction of a Single Digital Gateway. In her contribution, Andrea Halmos presents a series of European projects that could be of great potential interest to inhabitants of and commuters in border regions who regularly need to access public services in more than one EU member state. Her article highlights the shared principles that allowed these solutions to emerge and how these could bring concrete benefits to Europe's border regions and the EU at large. Above the beyond the pragmatic nature of cooperation strategies, borders as well as CBC are rich in socio-political and cultural symbolism. To the extent that borders stimulate emotions and empathy, the ability to mobilize their meaning-making capacity is at the heart of symbolic border politics, both for proponents of open borders and cross-border cooperation and reactionary forces that emphasize national interests and ontological insecurity. In a contribution that focuses on Greater Geneva, Christophe Sohn and James Scott explore the symbolic role and meaning of national borders in a cross-border regional context. The main argument is that the transformation of borders is more than just a ‘political’ act but is part of a complex process of symbolization. For cross-border cooperation initiatives, the issues at stake go beyond the mere reduction of barrier effects and deal with the change of the symbolic effectiveness of borders. In order to broaden our understanding of borders’ meaning-making capacity, this study looks at what happens when the border is apparently not the object of a particular material staging aimed at its symbolic recoding. The example of Greater Geneva constitutes an emblematic case of cross-border cooperation that seeks to develop a cross-border urban agglomeration marked by the ‘erasure’ of the French-Swiss border. Rather than an absence of symbolization, we hypothesize the symbolization of the border through its ‘absent presence’. Through its ‘invisibilization’, the border is recoded as a ‘planned obsolescence’ in the Genevan borderscape. However, dissonance between this recoding by cross-border cooperation elites and popular imaginations weakens the cooperation project. On the one hand, the border remains a relevant marker of national identity and the Greater Geneva project suffers from a lack of social support. On the other hand, the perceived symbolic void provides an opportunity for populist movements to promote a xenophobic discourse contesting the cooperation project and the formation of a cross-border territorial entity. Marco Bontje takes us from Europe to the China’s Pearl River Delta region, a major international economic hub dominated by the “border” cities of Hong Kong (a Special Administrative Region) and Shenzhen. This paper explores the many ways in which the two cities are interconnected while still separated in complex ways and the extent to which the cities have shared or adverse interests. The question is posed as to whether Hong Kong and Shenzhen might someday become one integrated megacity, or whether economic, political or social border obstacles might remain. There is no question that despite dividing sovereign Chinese territory and the everyday problems this creates for local citizens, the administrative division also serves a number of economic interests and is a major contributor to the innovative energy of the Pearl Delate Region. Indeed, Bontje poses the question under which circumstances Hong Kong and Shenzhen might strive for further integration or maintain the complex status quo of the borderlands situation. As Bontje argues, Hong Kong and Shenzhen (and mainland China as a whole) might still profit too much from Hong Kong’s special status to give it up entirely. The final full article in this volume deals with migration and cross-border mobility – a highly politicized issue in the present context of European crisis. Their article is furthermore targeted at the development of social and cultural borders between refugees and host communities and under prevailing conditions of asylum policies. Daniel Rauhut and Jussi Laine discuss what occurs when refugees who manage to reach the European Union, Finland and Sweden in this case, realize that their hopes for the future cannot be realized. Their study emphasizes that resettlement in a new country is a long-term process that certainly does not end with a refugee’s arrival, yet arrival is the moment when images and expectations face reality. The contradictions and tensions that thus emerge are often exacerbated by socio-economic factors. It is exactly these contradictions that various local resettlement organisations seek to alleviate, but this is a lengthy process. Frustration can lead to long-term disappointment and the bureaucratic and restrictive nature of asylum processes can easily lead to anxiety and uncertainty about the future, foster feelings of alienation, and increase mistrust of host communities. Andreas Faludi: Cross-border cooperation subverting sovereignty?